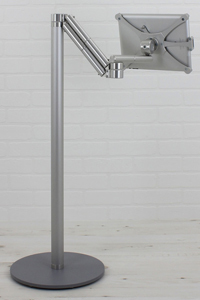 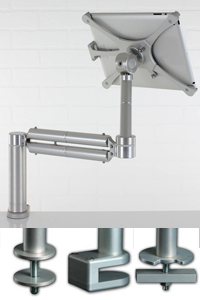 British made range of quality engineered secure Desk, Floor and Wall mount solutions for iPad 2, 3 or 4, iPad Air, Air 2, iPad Pro and Microsoft Surface RT and PRO tablets. 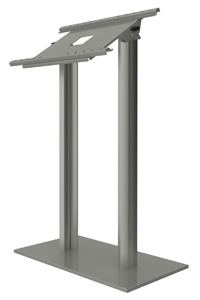 The various security options makes them suitable for exhibition stands, retail, environments, offices, schools and colleges. 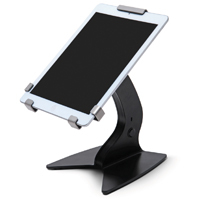 Please select iPad 4 9.7" iPad Air / Air 2 9.7" iPad Pro 9.7" Samsung Galaxy Tab 3 10.1" +£10 Samsung Galaxy Tab Note 10.1" +£10 Samsung Galaxy TabPRO 10.1" +£10 Samsung Galaxy Tab 4 10.1" +£10 Samsung Galaxy Tab A 9.7" Samsung Galaxy Tab S2 9.7"
Unique 'TriGrip range of freestanding, wall and counter display solutions suitable for iPad and other popular 10" tablets. 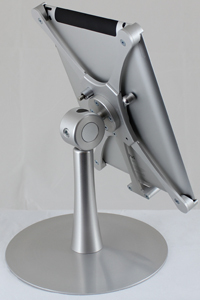 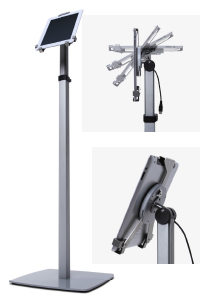 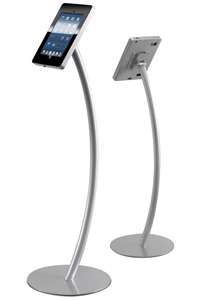 Attractive, versatile range of secure stands to support your iPad 2, 3 or 4, or iPad Air / Air 2, or iPad Pro 9.7" tablet - with a choice of coloured acrylic podium tops, and integrated brochure holder and graphic panel options. 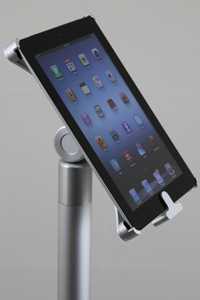 Lock the iPad Home Button. 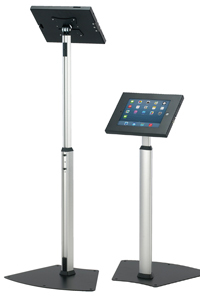 In iOS 6 you can limit an iPad to one app by disabling the 'home button' access and restricts touch input on certain areas of the screen enabling the iPad to be left unattended. 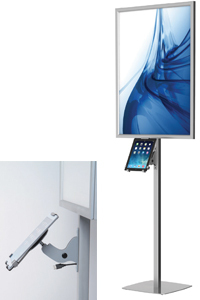 Only available on iPad 2 and above. 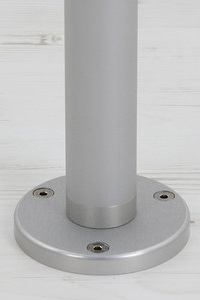 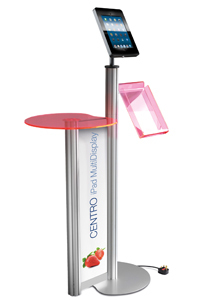 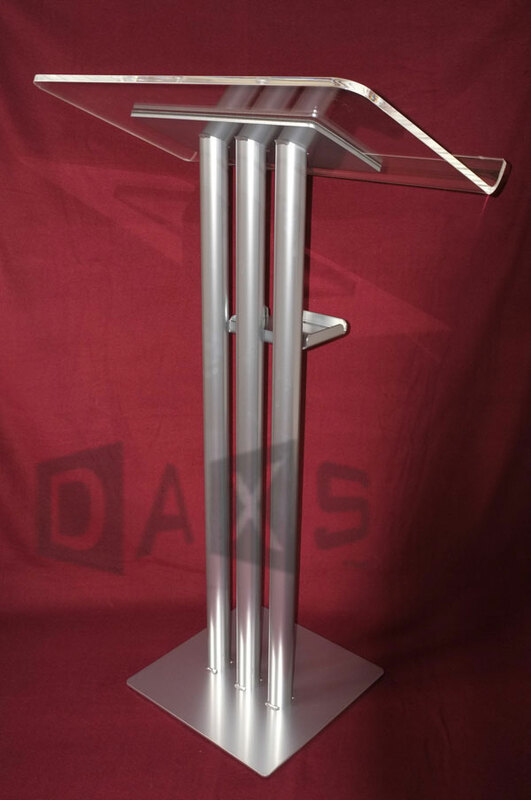 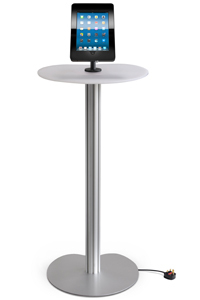 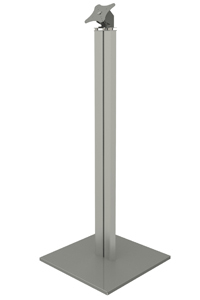 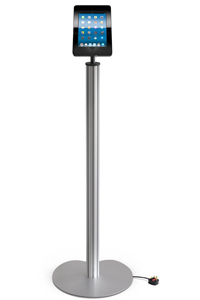 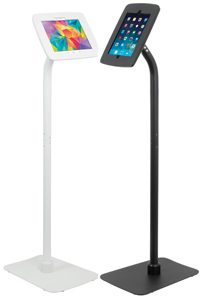 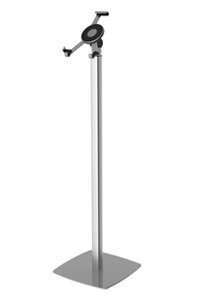 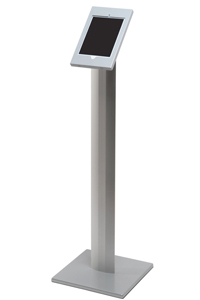 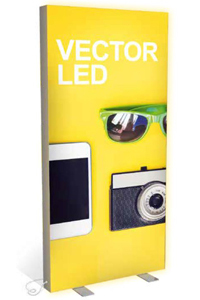 Ideal for receptions, showrooms or exhibition use. 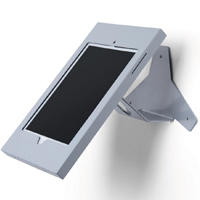 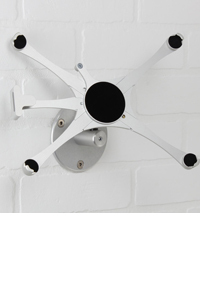 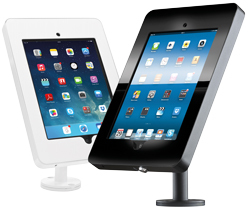 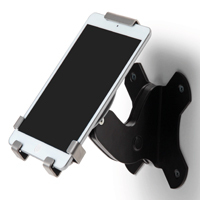 All our CENTRO iPad products are supplied with a high gloss black or white acrylic facia. 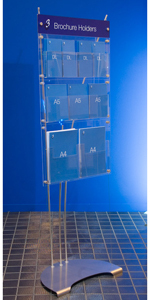 If you wish to brand the facia with corporate colours, logos and messages or other imagery, these options are available on request, subject to a minimum order quantity of 10 units. 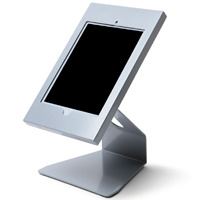 Freestanding, wall and counter display solutions for iPad 2, 3, 4 and Air - with sleek lockable steel enclosures that can be fixed for use in portrait or landscape format.